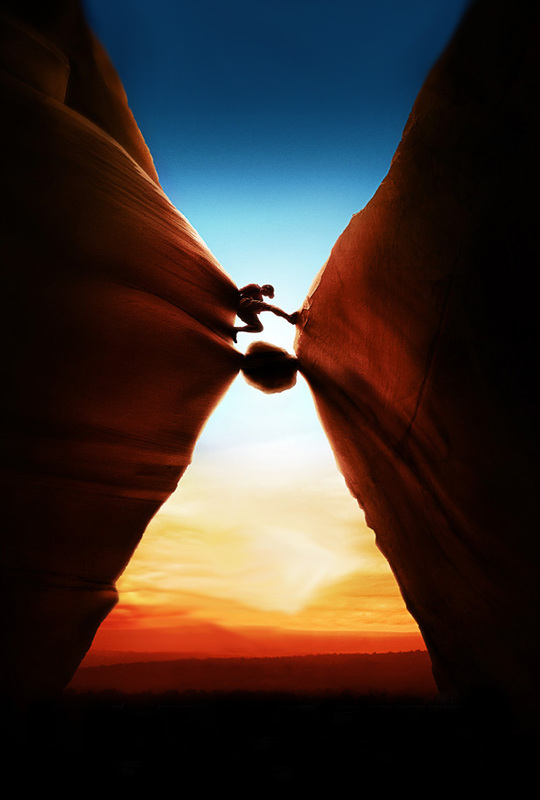 Tthis Hollywood movie starring James Franco, called “127 Hours“ goes about a mountain climber who becomes trapped under a boulder while canyoneering alone somewhere in Utah. In order to survive, he then resorts to desperate measures. There was this subtle optical illusion on the cover, one you could easily overlook if you don’t pay close attention. Let me share the original poster (lacking promotional text and labels) which helps the illusion stand out more. Can you see it? Next Entry: The impossible building.